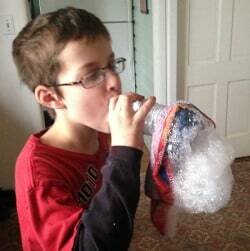 My boys have been having a lot of fun trying out science experiments that they have seen on YouTube. Just search “bubble snake” on YouTube and you will see bubble snakes of all sizes, shapes and colors. Use a sharp knife or scissors to cut the bottom off of the water bottle. Wrap the wash cloth around the bottom of the water bottle and hold in place with a rubber band. Place an inch or so of bubble solution in the shallow bowl. Add some food coloring if you want a colored snake. You can also put food coloring directly on the wash cloth (make sure to use an old washcloth for this activity). Dip the wash cloth in the bubble solution and blow through the drinking end of the water bottle and watch your bubble snake grow and grow! This is a fun activity to do on a rainy day or anytime your kids need a break from watching YouTube. See more of our fun science experiments in the related posts below. 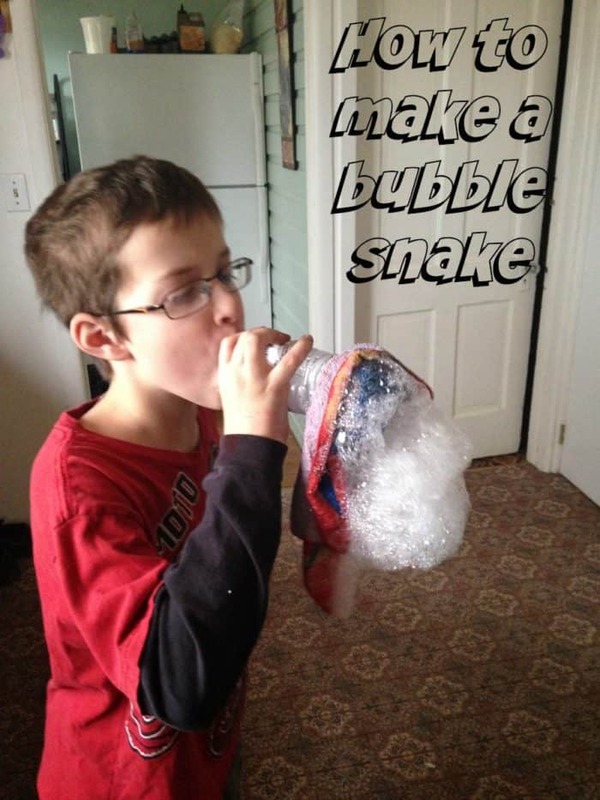 Here’s the video we made of our bubble snake. Copyright 2015, Christian Parent.com. This article may not be reprinted.